Crawling Insects: Ants, bedbugs, carpet beetles, carpenter ants, centipedes, clover mites, cockroaches, crickets, drug store beetles, earwigs, elm leaf beetles, fleas, millipedes, pillbugs, scorpions, silverfish, spiders, termites, ticks and other crawling insect pests. Flying Insects: Flies, gnats, mosquitoes, moths, yellow jackets, wasps, and other flying insect pests. Coverage: Treat cracks and crevices and other locations where target pest is thought to be nesting or hiding. Retreat as needed; once a month for general maintenance. 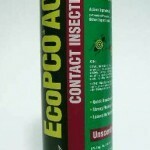 For Crawling Insects: Crack/Crevice and Void Treatments: Important – Use the injector nozzle tip provided. Inject into all crack/crevice and void spaces where insects are present. Applications can be made, but are not limited to, behind baseboards, cabinets, walls, ceilings, door and window frames, and around water pipes and appliances. Insects contacted by spray will be killed. Ensure contact with as many insects as possible. Fire ants & carpenter ants: this product will not kill ant queens or ant colonies. Fleas & Brown Dog Ticks: hold can approximately 12 inches above surface area and apply uniformly to infested areas such as carpets, rugs, cloth upholstery and pet bedding. Contact fleas & ticks directly to kill these pests. For Flying Insect Treatments: To kill these pests, aim spray toward flying insect infestations contacting as many insects as possible. Insects contacted by spray will be killed. Wipe away excess spray after application. Avoid spraying plants.